Posted January 25, 2018 by jonmroth & filed under News. Me: Hi, Eliot. I love your new book. Can you sum up A Problematic Paradox for the uninitiated? Eliot: Sure! 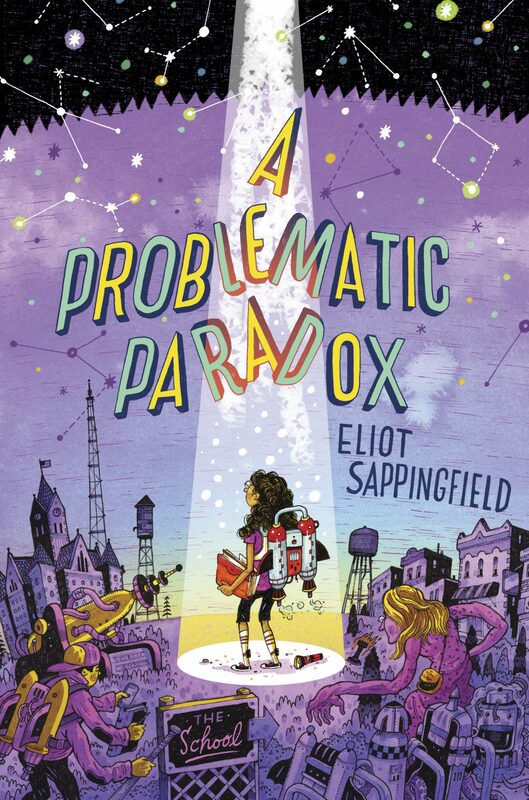 A Problematic Paradox is a humorous sci-fi book where an awkward, yet unapologetically brilliant girl takes refuge in a community of friendly humanoid aliens after her father is kidnapped by a group of much less friendly and much less humanoid aliens. If you’ve ever seen Sleepless in Seattle, it’s nothing like that. What sparked the creation of your work? My daughters did. They’re interesting, intelligent girls… and they complained about there not being enough girl lead characters in science fiction, so I decided to try making one and within a week it had developed a life of its own. My process is erratic and obsessive, and probably not a good model for others to follow. I’ll spend weeks where writing is what I do with every moment I’m awake and not otherwise occupied, and weeks where I do absolutely nothing but kind of think about it from time to time, usually when I’m trying to solve a problem I’ve written myself into. Everything. When I finished the book I had a seriously misinformed idea of what the industry was like, and have had to pick it up as I go along. I still really struggle with self-promotion, it feels completely unnatural to me. The obvious and not-so-obvious influences on Problematic are…? The Hitchhiker’s Guide books and Lovecraft are pretty obvious. I also really love the absurd kind of humor you see in books by Vonnegut and Joseph Heller. I have a day job that takes up a lot of my time. Some friends run a tabletop gaming group, and that’s a lot of fun. I also like to hang around with my wife and kids when they aren’t too busy for me. Any advice to kids who like to write? 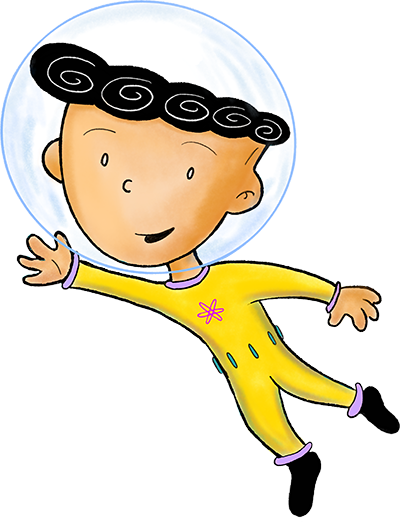 And to adults who want to write for kids? Read as much as you can, whatever interests you, even if it’s descriptions of shipbuilding methods from the 1880s. 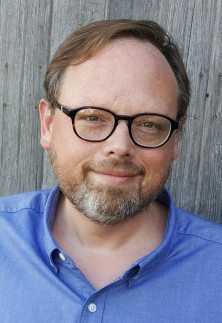 Write as much as you can and do your best to have fun while you’re doing it- if you’re writing something that feels like pulling teeth, that’s probably how it’ll feel to the reader. As an illustrator who works on my own covers, I’m always interested in learning an author’s involvement in and reaction to their own cover? I LOVE my cover. My day job involves more than a little graphic design, so right from the get-go I figured I’d want to offer input and advice on how it turned out. Then the artist John Hendrix, sent us his first draft and I honestly couldn’t find anything I’d change. What’s next for Nikola and the gang? More madcap hijinks, probably. I’m hard at work putting the final touches on book two, which will pick up where book one left off. And lastly: Do they need any visiting art teachers at The School, and if so, think I have a shot at being hired? I get the idea you might be too emotionally stable. Besides, there’s a very high chance of frequent exposure to radiation and ill-tempered sentient art supplies. Thanks so much, Eliot. I wish A Problematic Paradox much success!